Systematic reviews are valuable tools used in evidence-based medicine, however, in animal research they have not been used very often. They can be a valuable tool not only to help in implementing the 3R’s (replacement, reduction, refinement) but also to overcome translational issues. Low animal experimental quality and reproducibility lead to experimental data that are not always predictive for the human clinical situation. In addition, low power of animal studies and publication bias impact clinical translatability. 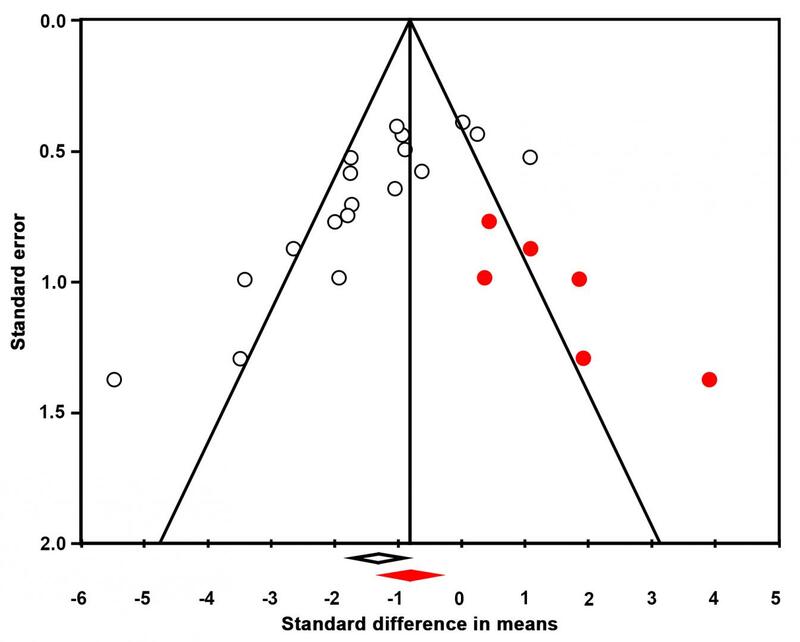 Combining data in systematic reviews and meta-analysis, including power analysis and funnel plots, can overcome these problems and aid in improving the succesfull step from animal experimentation to the clinics. With the help of SYRCLE Nijmegen, using a systematic review and meta-analysis we were able to show that NOX2 has no role in ischemic stroke (fig 1) (Kleikers et al, A combined pre-clinical meta-analysis and randomized confirmatory trial approach to improve data validity for therapeutic target validation, Scientific Reports, 2015). In addition, we found a lack of power and a publication bias, with studies showing no role of NOX2 seemingly missing (fig 2). Dr. Kleikers is one of the SYRCLE ambassadors, promoting the concepts of SYRCLE.